A couple months back when I upgraded from my 7 Plus to the X I tried several different screen protectors from different manufacturers but didn't really have much luck finding one I like. 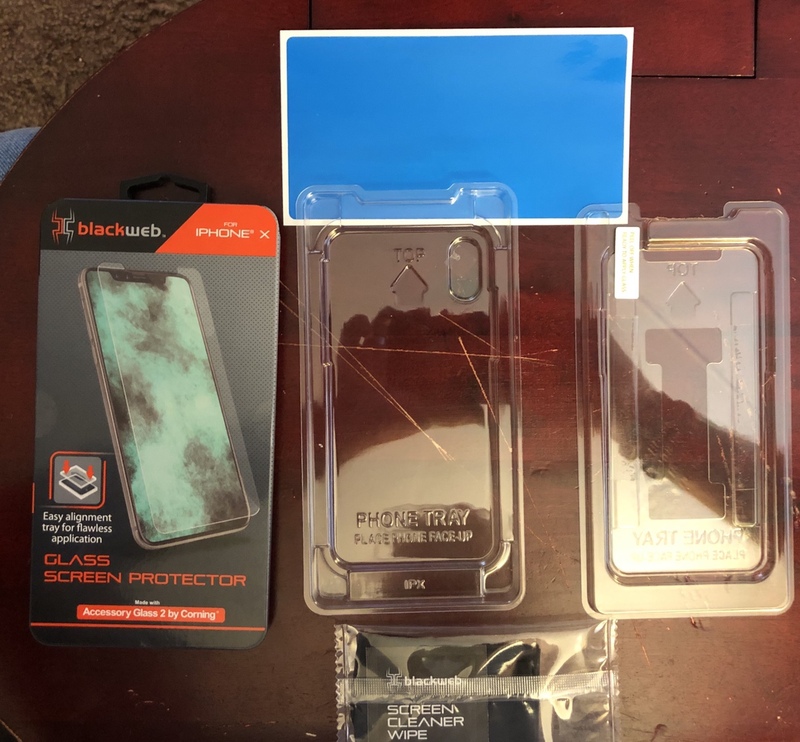 A few weeks back I was in Wal-Mart picking up a couple things and came across an end cap with the Blackweb Screen Protectors and since they were on sale for $9.99 I figured I wouldn't be out much if I didn't like them. I couldn't have been more impressed with them! The first one I purchased was the privacy/tinted version. They come with a little 2 piece plastic tray. In the bottom half is a tray to lay your phone in. On the top half there is a cut out with two little sticky pads that hold the screen protector in place. After peeling the backing off the protector you put the two pieces together. It lines the screen protector up perfectly so you don't have to worry with trying to line up anything. On Thanksgiving day I dropped my phone and the screen protector busted but my phone was fine. Since black Friday I'd been trying to find another one and finally found a Wal-Mart that had some in stock. Unfortunately they didn't have the tinted ones so I got the last two of the clear ones in stock. I wouldn't hesitate to recommend them to anyone. If anyone has any questions I'd be glad to answer them. calebt and BrindawithanI like this. I agree with you, they are the one I use now also. Yes I bought one for my IPhone X because I used one on my 7 and really liked it. There so easy to install also and fit great. Won't use Zagg anymore for the price of these. Zagg is actually the first brand I tried when I upgraded. 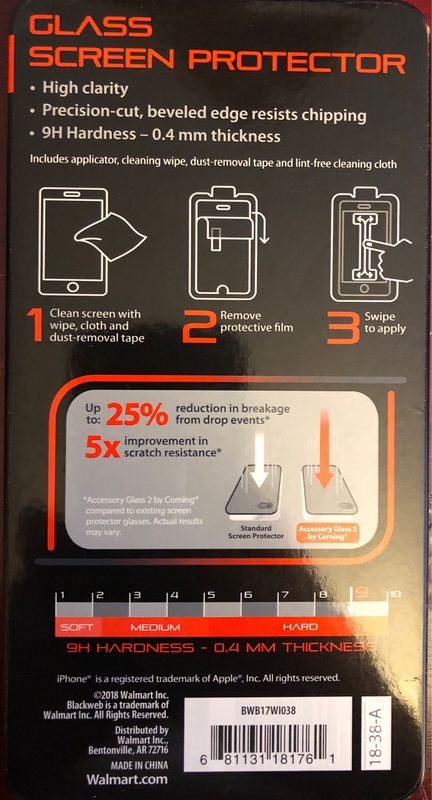 These types of screen protectors were new to me altogether because I've used Otterbox Defender cases on every smart phone I've had since my first 3GS back in 2008 and just always used the pre-installed one. I was actually really glad that OB decided to stop using them. I'm still in awe so to speak at how nice these are. They feel sturdy and the application process takes about 60 seconds. 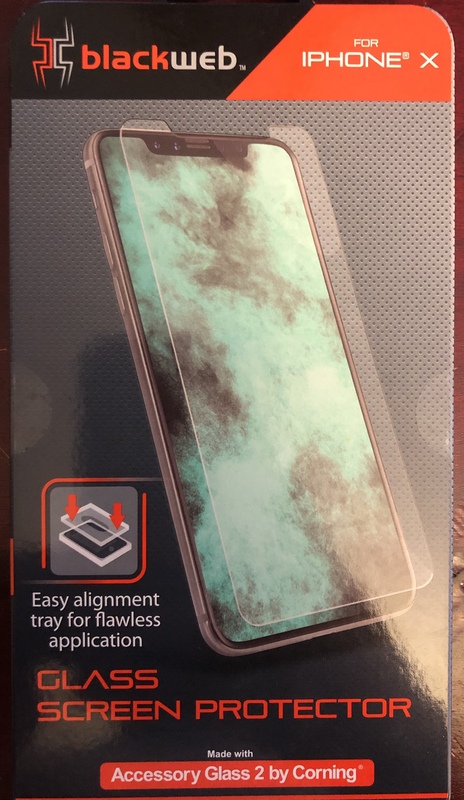 I would've never guessed a $9 screen protector from Wal-Mart would outshine the big names and those cases that can easily average $50-60.00 each. Yes, I see little or no need to buy the very expensive ones that are out there. The iCarez 2 packs are less expensive send to your door, .33 vs .4 mm, and seem as fine as any. They also have a fixture for mounting. I recall trying one that was .22 or .2 thick for my last phone and can't say if it was the brand, adhesive or thickness, but it did not last as long as the .33 iCarez brand. I've never heard of that brand. Wal-Mart is one of the biggest retailers in the world. I have some Corning stock in retirement account and recall news of that glass type in the past flew years. We are getting to where it might be hard to know which giant is most evil. If you follow the Walton family foundation or mountain biking you can see some Walton grandkids are community givers. Is putting my Iphone X in front of an air conditioner a harmful idea?